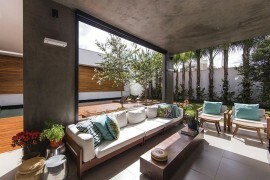 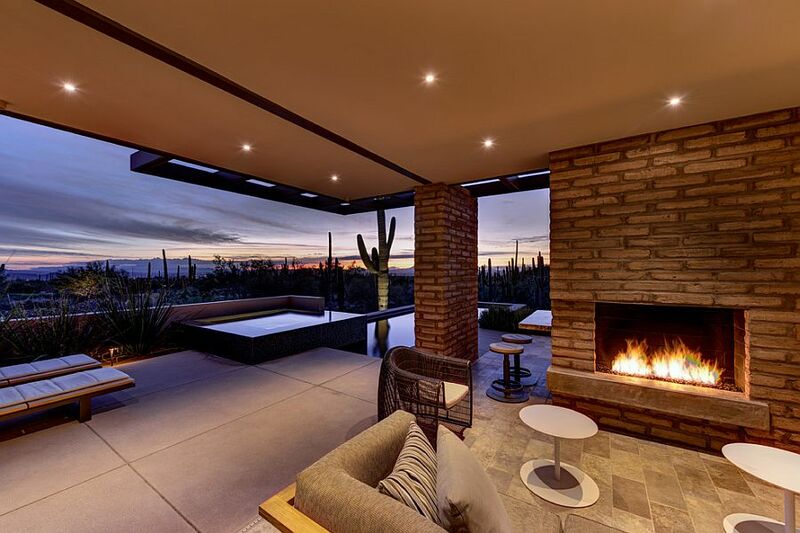 Everyone loves a home with a brilliant indoor-outdoor interplay that blurs the line between the interior and the world outside. 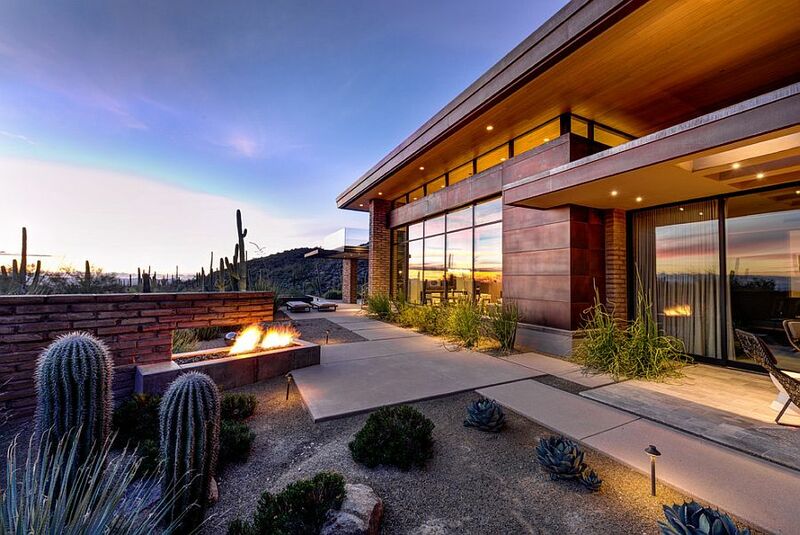 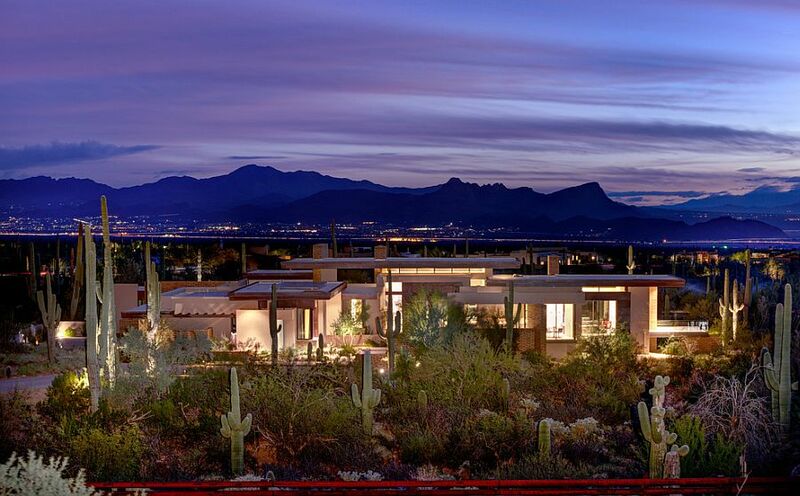 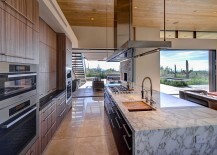 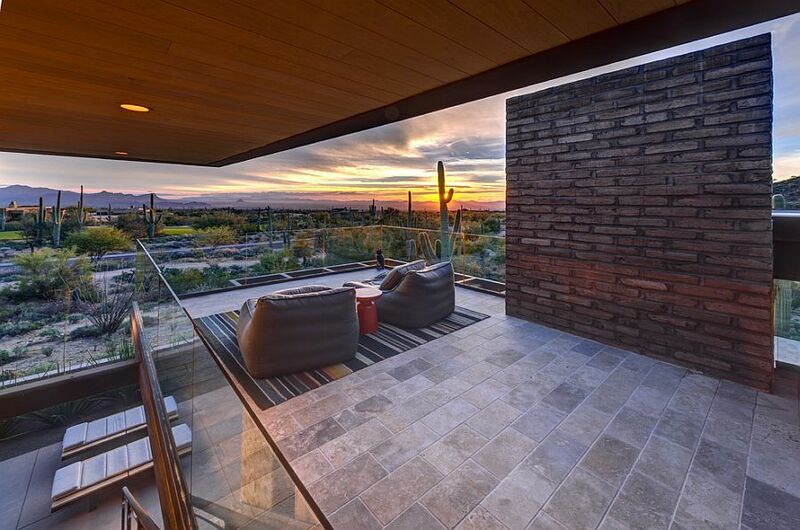 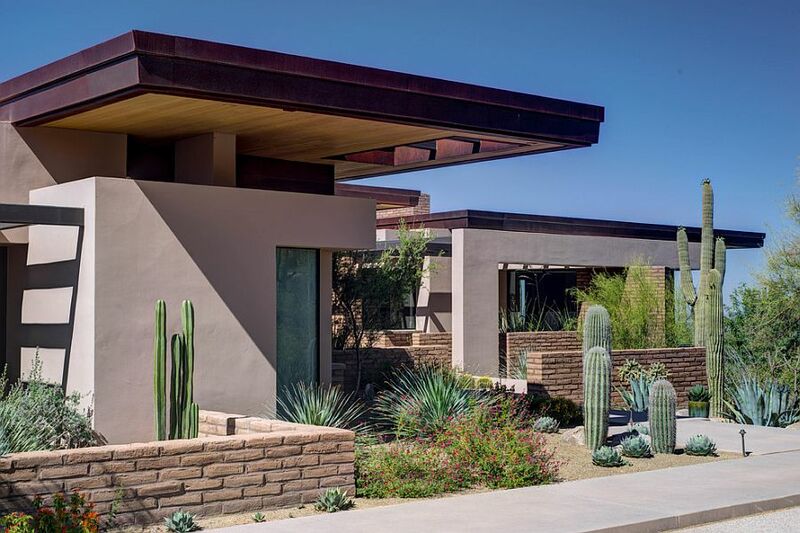 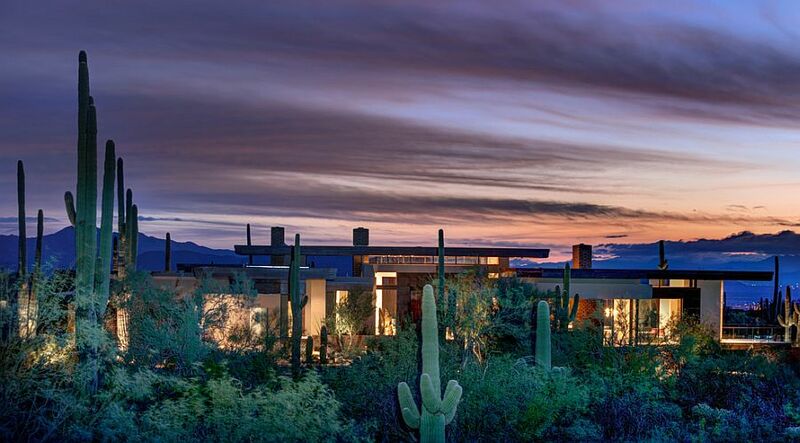 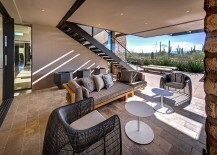 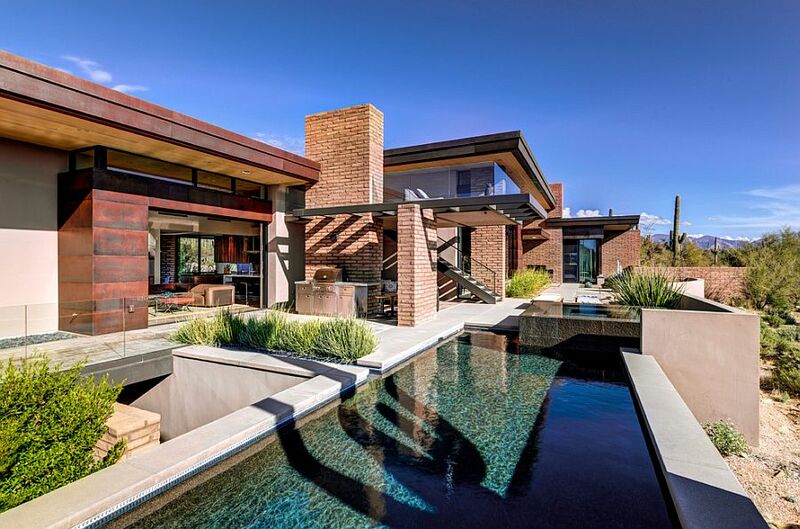 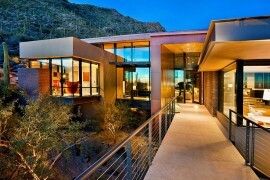 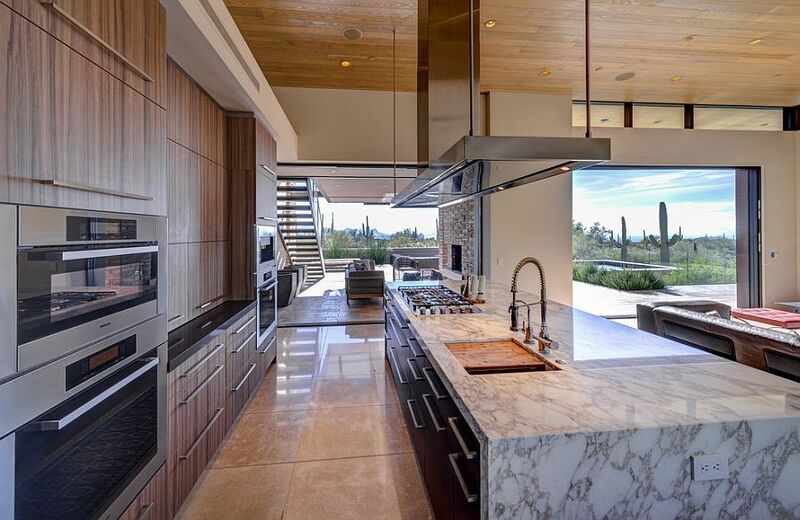 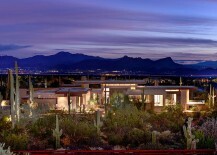 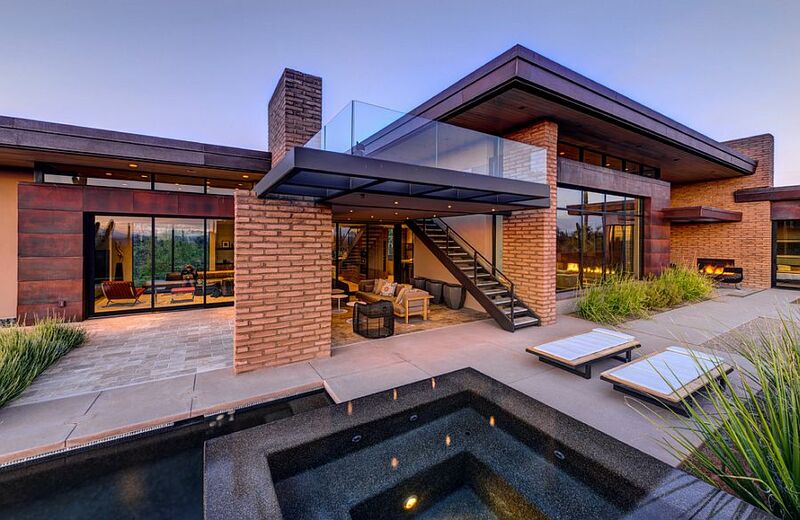 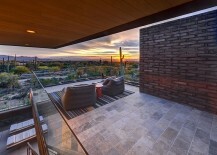 But designing such a home in the arid landscape of the Sonoran Desert in Arizona presents a whole new set of problems. 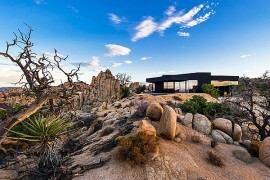 The open design of Damon Residence means it needs to turn to new strategies in order to combat the harsh desert conditions while retaining its contemporary appeal. 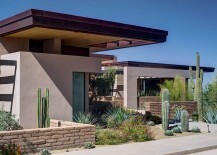 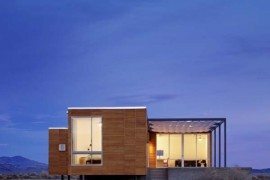 This was accomplished by Kevin B Howard Architects using a unique blend of traditional adobe walls and a series of wafer-thin overhangs! 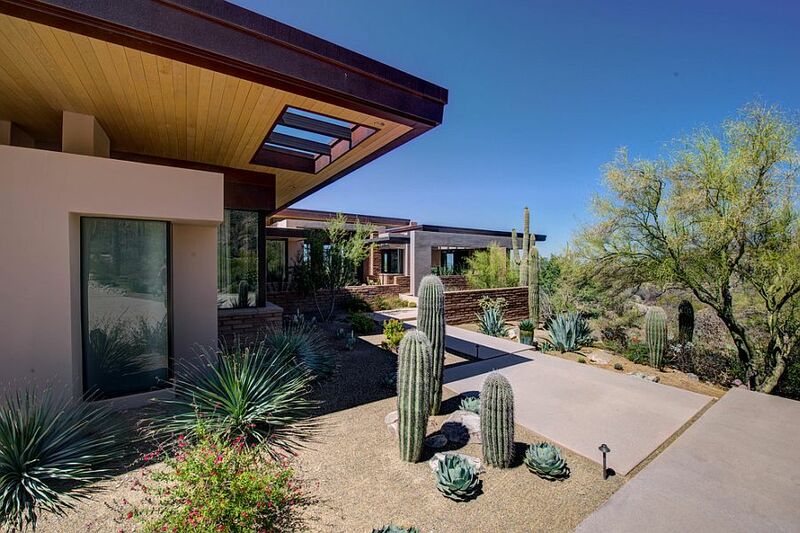 The overall silhouette of the home, which was brought to life by Berner Loftfield, definitely draws its inspiration from the timeless architecture of Frank Lloyd Wright. 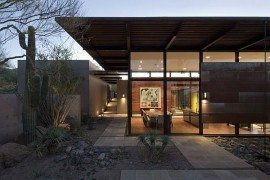 The super-slim, cantilevered roofs keep out the sun while extending the living space outdoors and giving the residence a distinct, contemporary vibe. 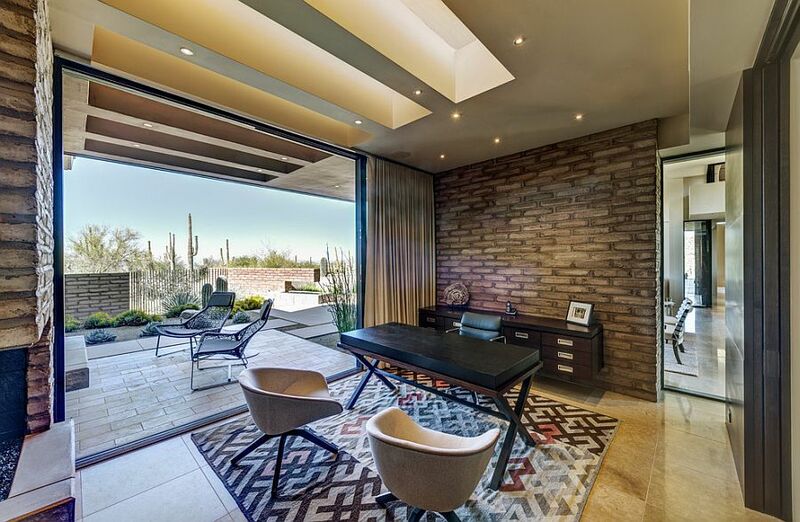 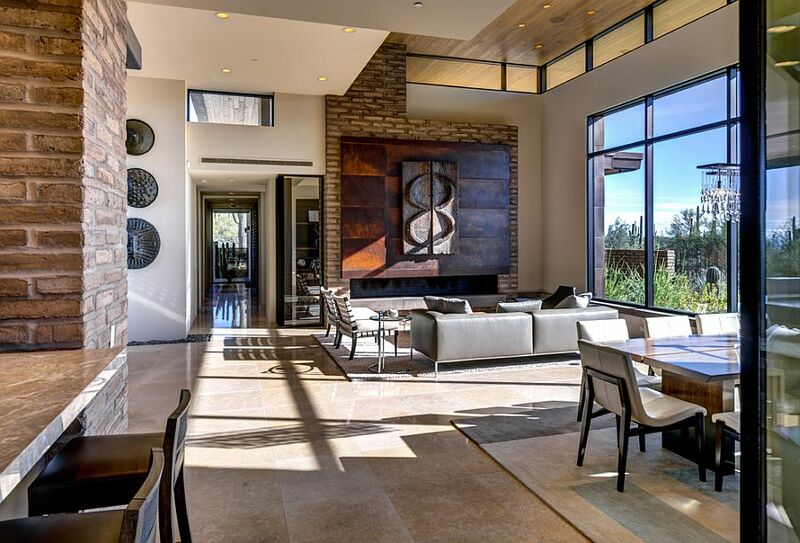 With adobe walls bringing the native charm of the landscape indoors, one gets the impression that the comfy home is an extension of the scenery around it as pavilions, walkways and sweeping interiors flow into each other seamlessly. 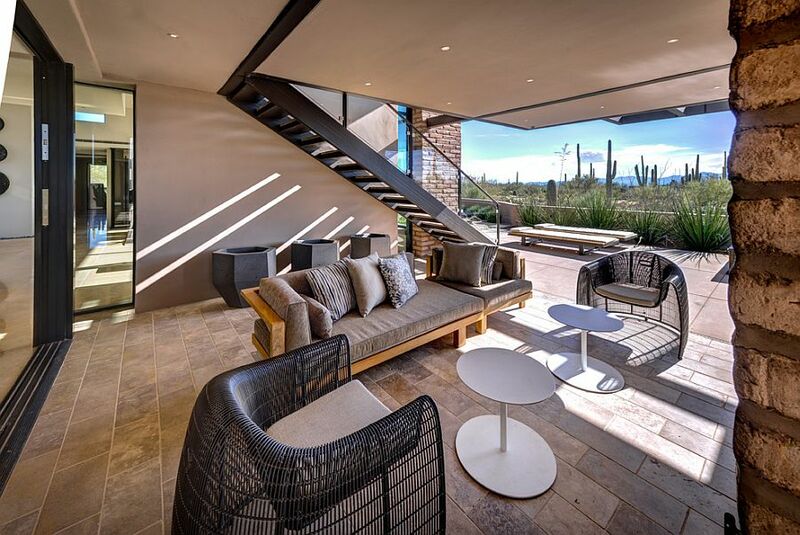 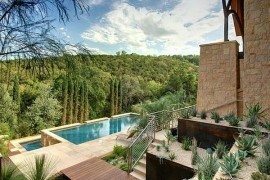 An outdoor lounge with a pool area, a Jacuzzi, a fireplace and alfresco dining encourages the homeowners to spend cooler evenings under the stars as they soak in the unabated view on offer. 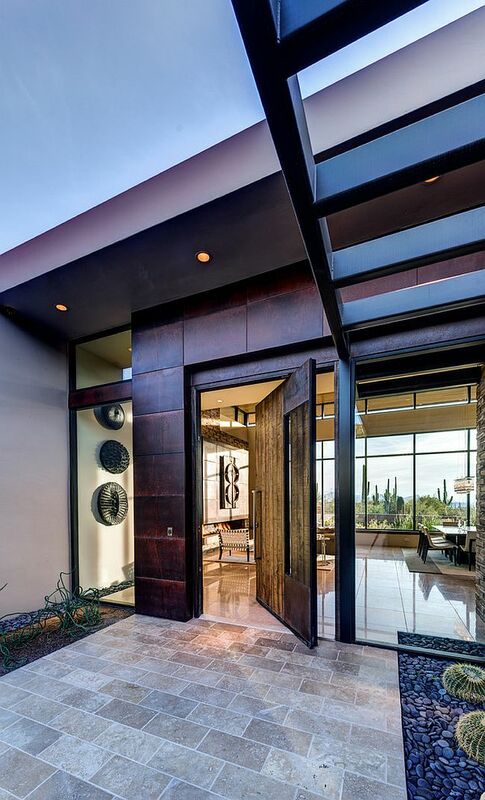 Décor, artwork and the color scheme used indoors complements the earthy exterior, which also showcases rusted-steel panels and large glass windows. 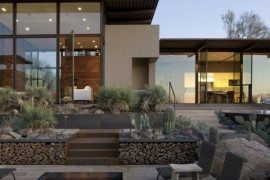 At its core, this is a home that explores the possibility of a modern home melting into the landscape around it, and the beautiful adobe walls stand tall at the heart of this innovative approach. 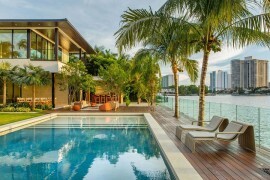 Floating Eaves Residence: Affluent Contemporary Paradise in Miami!